Our Organic Leaf pendant is part of our contemporary collection and is made exclusively by Love from Skye on the Isle of Skye. 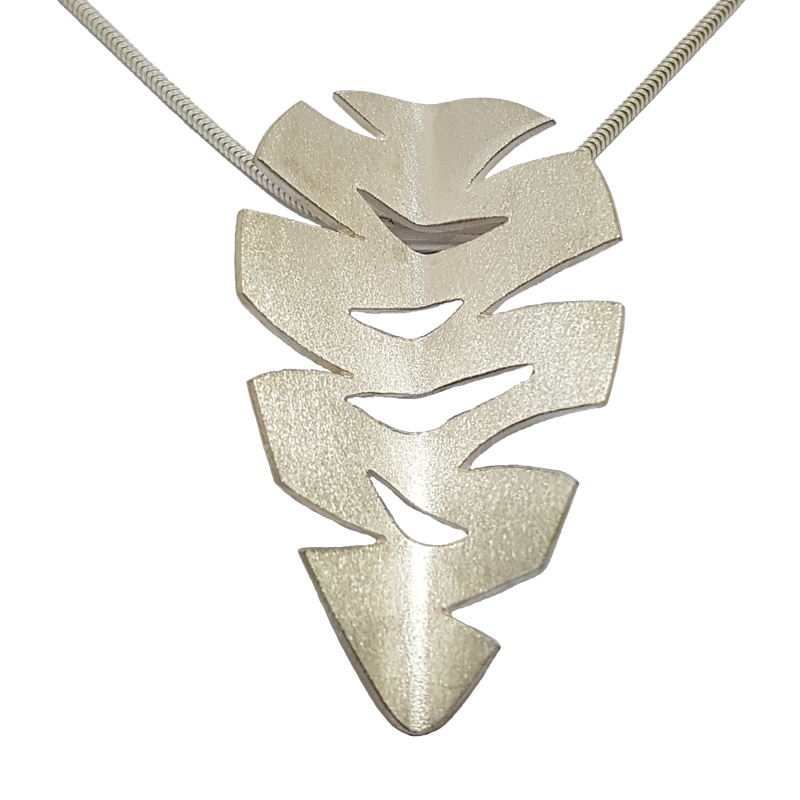 The contemporary cut-out leaf is made from Sterling silver and measures 50mm x 28mm, with an 18 inch heavy gauge snake chain. Using the options above you can choose to have your leaf pendant finished with a polished-finish or a frosted / matte finish, as shown in images.